Ce document au format PDF 1.6 a été généré par Acrobat PDFMaker 7.0 for Word / Acrobat Distiller 7.0 (Windows), et a été envoyé sur fichier-pdf.fr le 21/04/2014 à 22:33, depuis l'adresse IP 109.88.x.x. La présente page de téléchargement du fichier a été vue 1079 fois. Taille du document: 174 Ko (4 pages). and copy selected parts of pages to the Clipboard. A powerful search engine--Acrobat Search-helps you find topics of interest. ON4UN. These are mentioned throughout the book. 2. Select Run from the Windows Start menu. different drive on your system, type the appropriate letter) and press Enter. drag the “Low-Band DXing” icon onto your hard drive. icon. Follow the on-screen instructions. 4. To run the ON4UN Yagi Design software, click on the ON4UN Yagi icon. the appropriate letter) and press Enter. 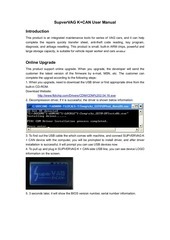 To view the electronic version of the software, place the CD-ROM in your CD-ROM drive. intro.pdf. Note: The ON4UN software will only run on a PC, not on a Macintosh. protected Excel XLS file. You must have Microsoft Excel on your computer to run it. must have Microsoft Excel on your computer to run it. is a protected Excel XLS file. You must have Microsoft Excel on your computer to run it. 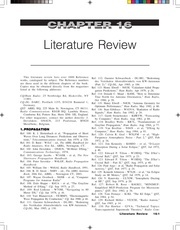 Chapter 1 of the book. 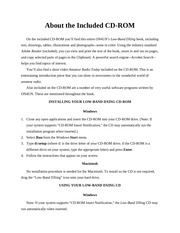 This directory contains all the programs that make up the Low Band DXing software. 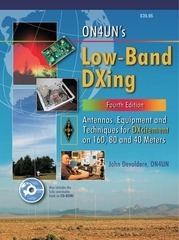 available to every reader of the new edition of the Low-Band DXing book. reader of the new edition of the Low-Band DXing book. pictures. Many thanks to all. The 80-meter DXCC cards, good for 353 confirmed countries, add up to 619 pictures or files. pictures. Your comments would of course be very welcome. Ce fichier a été mis en ligne par un utilisateur du site. Identifiant unique du document: 00236964.